Use Online Magazine software to remove the water from flipbook. 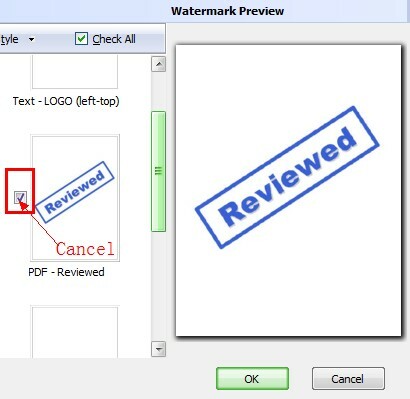 I found watermark was added in my flipbook when I use A-PDF to Flipbook to create flash product catalog, how can I remove this watermark form my flipbook. Hello, the reason why you have watermark in your flipbook is that the software will automatic apply the last watermark settings. In other words, you have to cancel the watermark settings at first. Step1: Run A-PDF to Flipbook first, then click “Set Watermark” button to enter “Select Watermark” interface. Step2: Find the selected watermark in the list, and then cancel this option. Step3: Click “ok” button to save settings, and re-import your PDF, then the watermark has been removed. A-PDF Flip Word - Import Office word Doc or scan from paper, output flipbook with page-turning effect.